Glacier National Park, known as the Crown of the Continent, is located in the Northwestern corner of the state of Montana. The park consists of over one million acres of land, is home to two mountain ranges, 130 named lakes, and over 1,000 species of plants and wildlife. Glacier National Park has a reputation as one of the prime locations to encounter wildlife. 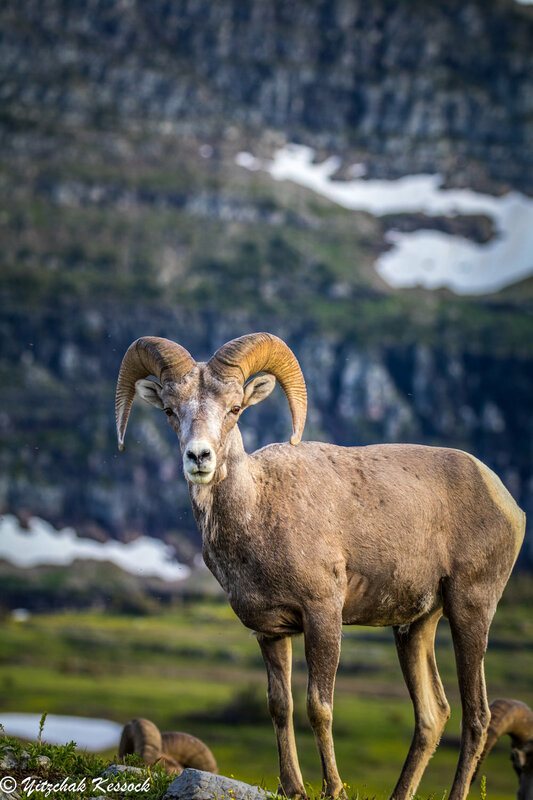 From mountain goats on the Hidden Lake Trail to bighorn sheep, elk, deer, and the largest population of bears in the lower 48 States, Glacier affords you golden opportunities to have a memorable encounter. Glacier National Park affords its visitors some of the most pristine lakes in the country. From the crystal blue waters of Cobalt Lake to swimming with icebergs in Iceberg Lake, Glacier's lakes will leave you amazed. Glacier boasts some of the best mountain views in America. Going to the Sun Road, the main park road, has been rated as one of the top scenic drives in the world. With only 26 glaciers remaining in the park out of its original 150 come see these majestic wonders before they are gone forever.